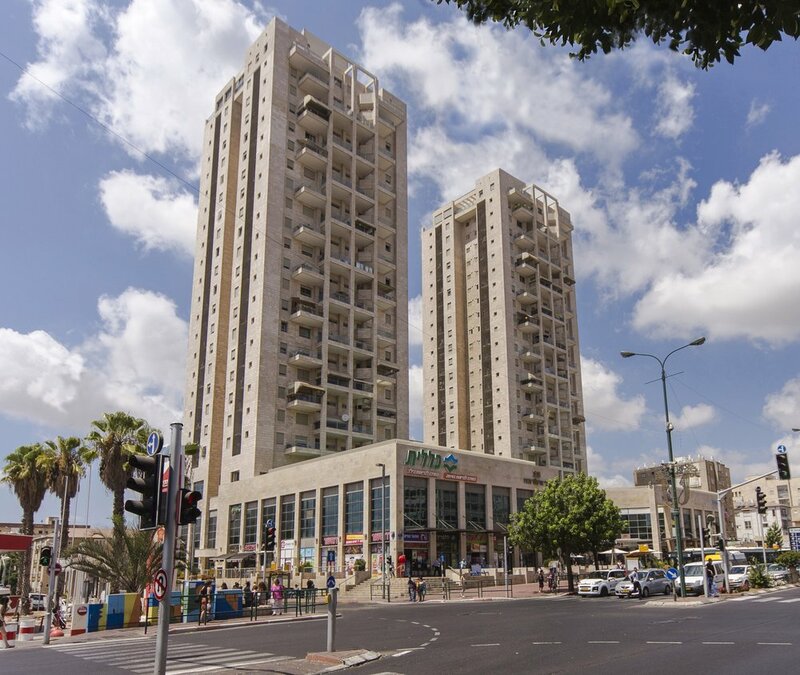 Structural design of a mixed-use development on the site of the old central bus station in Rishon LeZion. The base structure consists of 2 stories of below-ground parking and 2 levels of shops, which act as a transfer podium to support two, 17-storey residential towers. The structure is a reinforced concrete frame. The residential floors have a regular column grid with long spans, which lent itself to an efficient system of one-way spanning slabs, supported by downstand beams. The towers were stabilised against wind and earthquakes with two coupled lift and stair cores and founded on piles.